Halloween was low key. Addison turned 7 this past Halloween and we had our annual Trunk-Or-Treat and then came home. It was cold and rainy and we were frankly d.o.n.e. 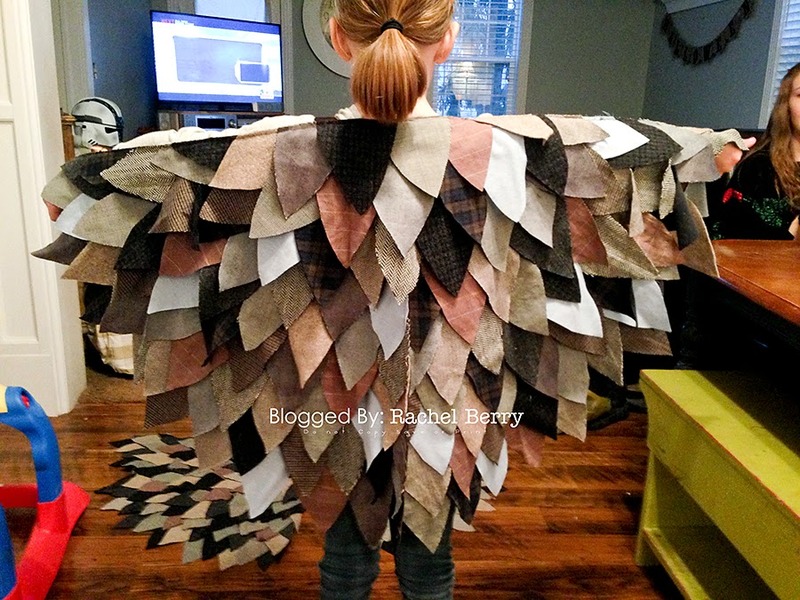 I made Addison's Owl Wings from thrift store finds well- Wool pants, skirts, shirts & one Wool trench coat to be exact and I actually made 2 sets of wings. One for her and another for her cute little friend Lyndie. 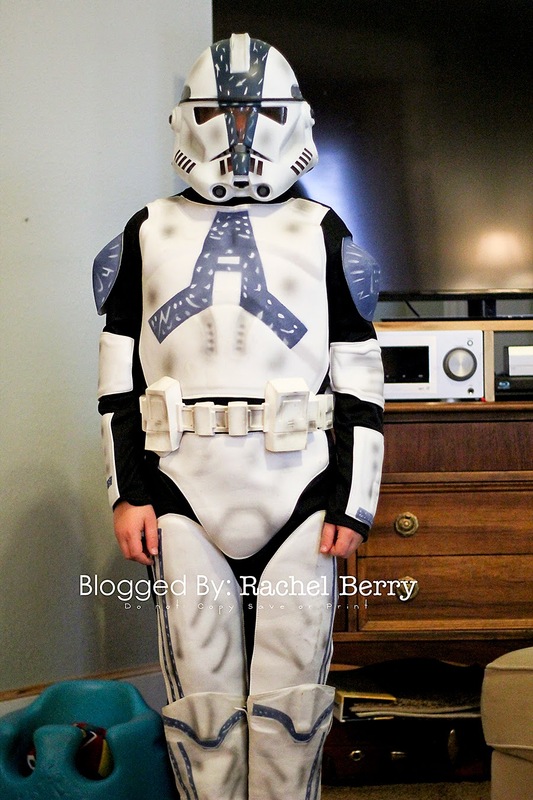 I will post a picture of her facing the camera but she has yet to put her Costume on again. 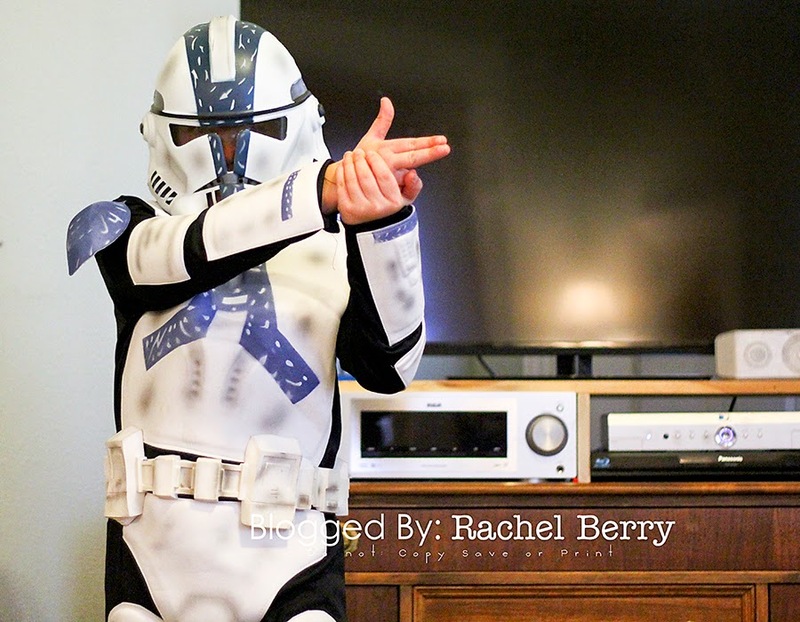 Corbin was dying to be a Star Wars Storm Trooper so we borrowed a trooper from our friends. Thanks P & N! 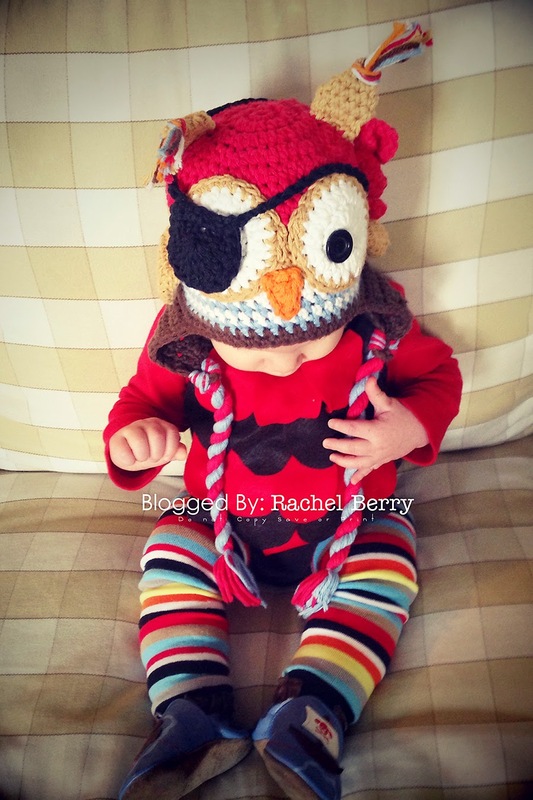 Ledger was a Pirate Owl. 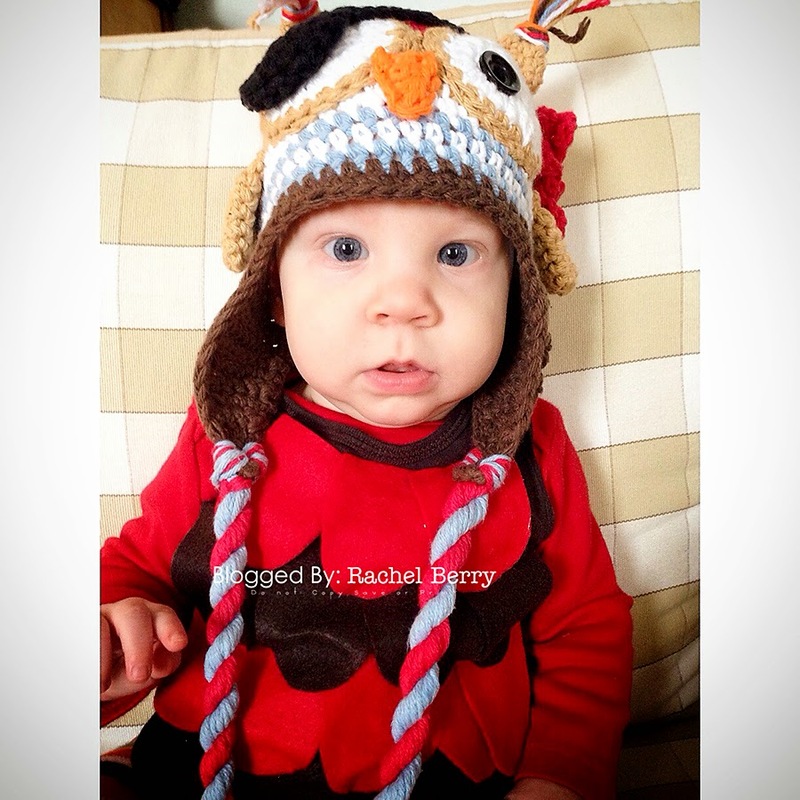 My awesome friend Kim made Ledger's hat as well as an owl hat for Addison. She is super amazing.... For the main part of his costume I just took 2 long sleeve onesies and layered them (the top one I cut the arms off). I then took 2 scrap sheets of felt in red and brown and cut out scallops then hot glued them together and glued them to the chest of the top onesie. The baby legs I ordered from eBay. 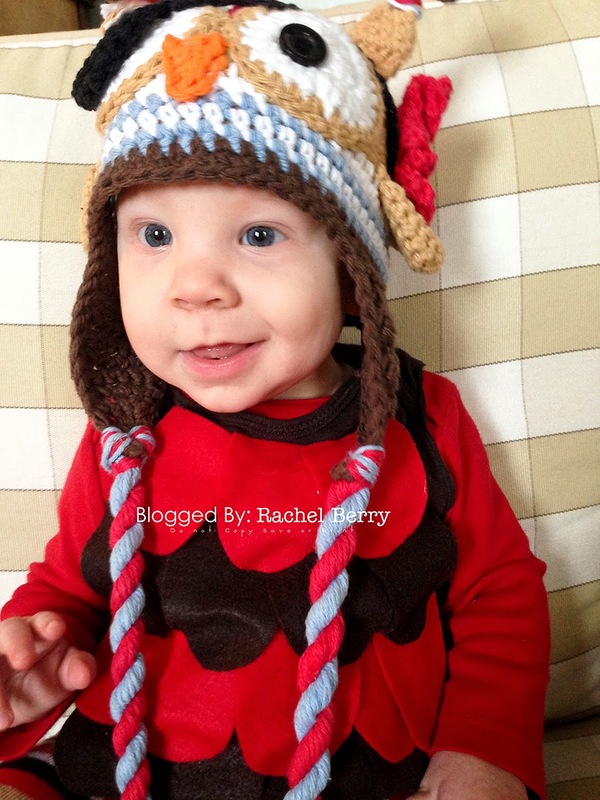 Paired with some Pirate themed leather Robeez he was set for Halloween! Oh how I love this little face!